Q: If I have questions regarding ordering a phone online or phone features, who should I contact? Q: If I have questions regarding wireless service, activation, billing, coverage or wireless features, who should I contact? Q: How do I activate my new phone once I receive it? Q: Once I place my order online, how soon will my order ship? A: Please allow up to 24-72 hours (Excluding weekends and holidays) to receive your tracking information. We ship via UPS, FedEx and USPS. Q: Do you have an activation fee or cancellation fee? Q: What plans are available with Airvoice Wireless? Q: How do I verify there is coverage in the areas I use my phone? Q: I am already registered but do not have my password, how can I obtain my password? Q: Can I port my existing mobile # to Airvoice Wireless when I activate? Q: What payment types do you take? A: Upon checkout you may pay with a credit/debit card. Cards accepted are Visa, Mastercard, Discover and AMEX. You may also pay by credit card or e-check via Paypal. 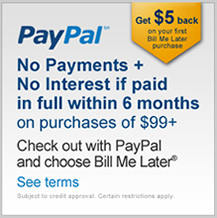 You may select your payment method on the checkout page. Q: Are all of the phones on Airvoicewirelessphones.com unlocked? A: Yes, all phones are unlocked unless specified otherwise under Detailed Specs. Q: What type of phones would be compatible with your service if I want to use an existing phone? A: Any unlocked GSM phone including those from AT&T or T-Mobile would work. Phones from Sprint, Virgin Mobile, Verizon, MetroPCS or Boost Mobile are NOT compatible. Q: If I already have Airvoice Wireless service, can I just purchase a new phone and put my current SIM card in it to keep my existing # and plan? Q: How do I track my package once it has shipped? A: You will recieve an email with your tracking # once your order is shipped. If you selected UPS, you may track it at www.ups.com. If you selected USPS, you may track it at www.usps.com. Please allow up to 24 hours for your tracking # to be found in the system as once it is assigned and emailed to you, it must be scanned at the shipping hub before showing on the tracking website. Q: I already own an unlocked phone, can I use it with Airvoice Wireless? A: You will need to purchase a SIM card and airtime to get started. Once you have activated your new phone, you will need to program it before you can use Internet, Data and MMS. Q: What comes with the phone when I order online? A: Your phone will be shipped with all OEM conte dffff vcic contents including the phone, battery, battery door, home charger, SIM card, Activation instructions, OEM box, user manual, and a MicroSD card and headset if the phone comes equipped with one from the OEM. Refurbished devices may come in White generic boxes. Q: If I want to use my own phone, how do I know if it is unlocked? A: If your phone is GSM and accepts a SIM card, you may try to borrow a friends SIM card on another network and insert it into your current phone to see if it will make a phone call. If you do not have a SIM card to test, you may visit a local retailer to help determine if your phone is unlocked. Once you have determined that your phone is unlocked, you will only need to purchase a SIM card and airtime to begin using our service once you have programmed it. Q: Will I receive the full 1 year OEM/MFG warranty when I purchase a new phone on your website? Q: Do you offer insurance on your phones? A: Not at this time but in the near future we may add insurance plan options for our customers. Dial *777# SEND to receive a text message stating your account expiration date anytime or dial 611 SEND from your handset. When your account reaches 3 days before the expiration date, you will hear a recording when placing an outgoing call to let you know that your airtime will expire soon. The recording will be played on your 1st call daily on your last 3 days of expiration. 1. From wireless phone dial your cellular number or press and hold the “1” key. 2. The system will ask you to enter your personal pass code (think of any easy to remember pass code and enter it when prompted). 3. The system will prompt you to record your own personal greeting or to select a standard greeting. 4. The system will automatically play your new voice messages. Caller ID shows you the phone number of most incoming calls. If you don’t want to answer your wireless phone and you have Voicemail, you can let the incoming call roll to your Voicemail box. Caller ID works whenever your phone is powered on. It even works when Call Waiting alerts you of an incoming call. Text Messaging (SMS) allows you to send or receive short alphanumeric messages (up to 150 characters in length) using your wireless phone. Text messaging service also includes e-mail and web-based messaging. Your unique e-mail address is your 10-digit wireless number@txt.att.net. For example: if your number is (555)123-4567, your email address is 5551234567@txt.att.net. Multimedia Messaging allows you to send or receive messages that include media such as pictures, videos or sounds using your wireless phone. Use of this feature requires an MMS compatible phone as well as the appropriate MMS feature on your Airvoice account. You can exchange Multimedia Messages with any compatible phone by addressing the message to the recipient’s 10-digit mobile number. You can also send Multimedia Messages to e-mail addresses. Multimedia Messages sent to non-MMS capable phones will be delivered as a text message instructing the recipient on how to view the message online. The Mobile Web, or Data, provides you with the Internet access on your mobile device. Use of this feature requires a Data compatible phone as well as the appropriate Data feature on your Airvoice account. Please note, although you may attempt to view any webpage using your mobile phone, not all websites are formatted for mobile devices. You may experience delays as well as inability to access certain websites when using the internet on your mobile phone.